Great photos, I really look forward to all your posts. Can't wait for the next vid. Best wishes for 2019! Haha I was actually pretty cozy the whole time. I had more layers I didn't even have to put on. It was a great weekend with fantastic weather and company! 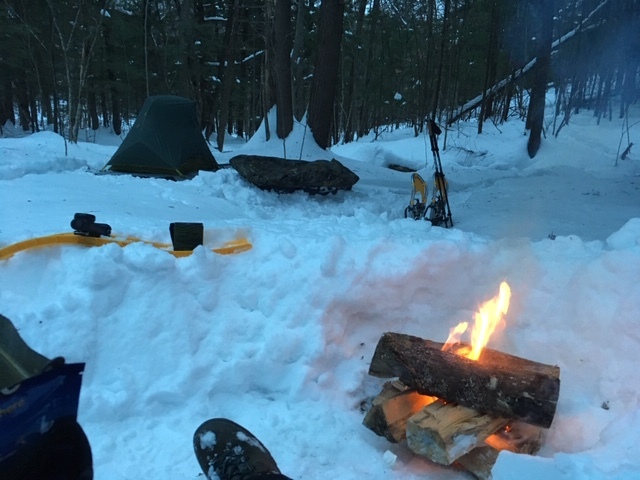 Did a solo overnighter along the upper reaches of the Black River. I'm getting too old for this kind of adventure. Takes too much energy. 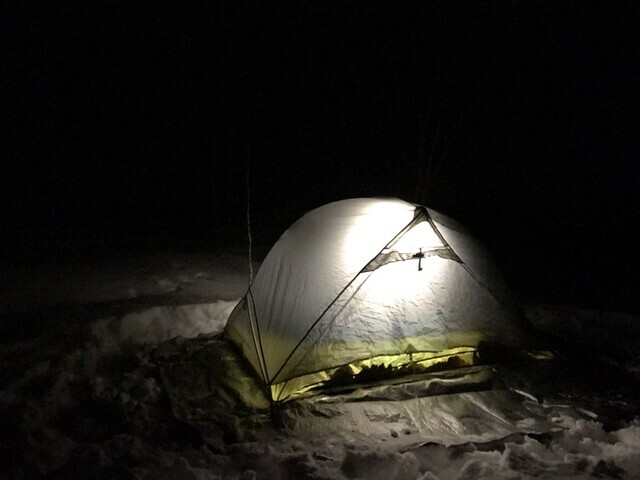 Snow was too deep to gather wood efficiently. Staying warm wasn't a problem but due to chores there wasn't enough time to sit by the fire and talk to the trees. photos not showing, link error. From now on it’s cabin camping only for me. That place looks so awesome. How old is it? Built in the early ‘40s by my friend’s grandfather, and it’s definitely beginning to show it’s age, but thankfully JCFarrell (& friends) have been giving it some much needed TLC over the past few winters. I finally got around to cleaning up the kitchen a bit this past weekend, not sure if you remember from the video, but it was a mess! Last edited by Justin; 02-18-2019 at 02:48 PM..
A couple of weekends ago, I decided to test out my new sled. Congratulations JohnnyV. Looks like you had a good first experience. Kudos to Bio and Justin too. Looks like a good time, your campfire looks a little puny though! Love to see snowshoe tracks. Ever try Telemark skiis? It got better! 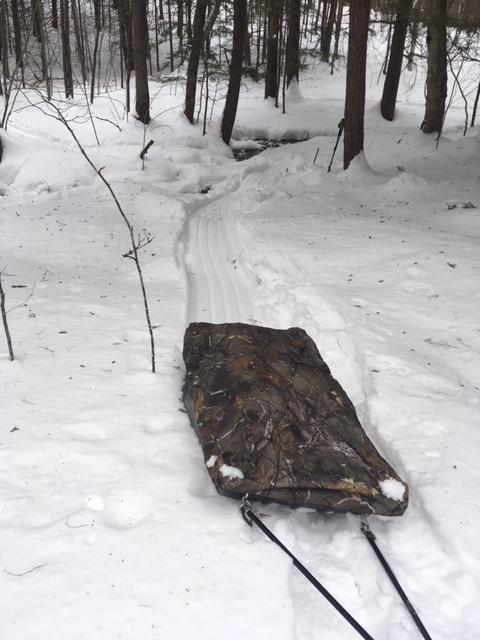 I needed some extra "test weight" for the sled besides my pack so that's why I hauled a few logs from my wood pile. 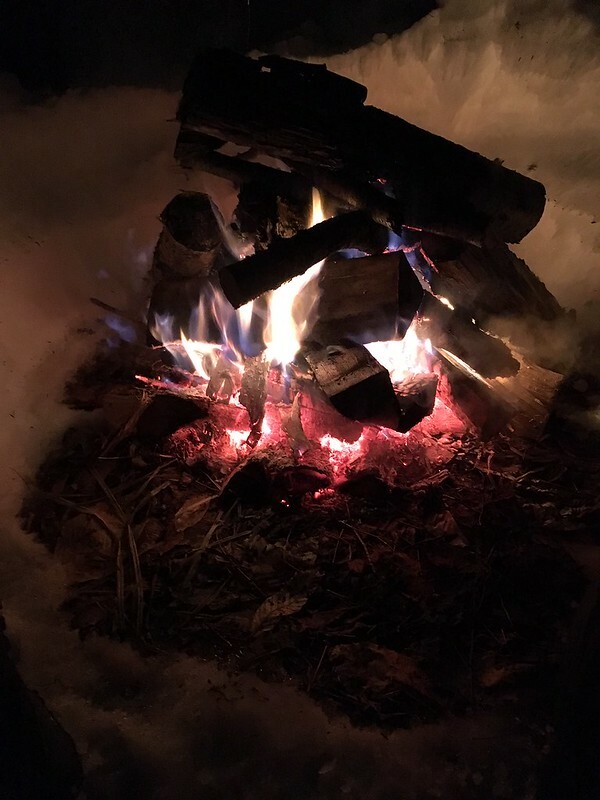 I regretted it immediately, but it was nice to have some dry base wood for the fire.